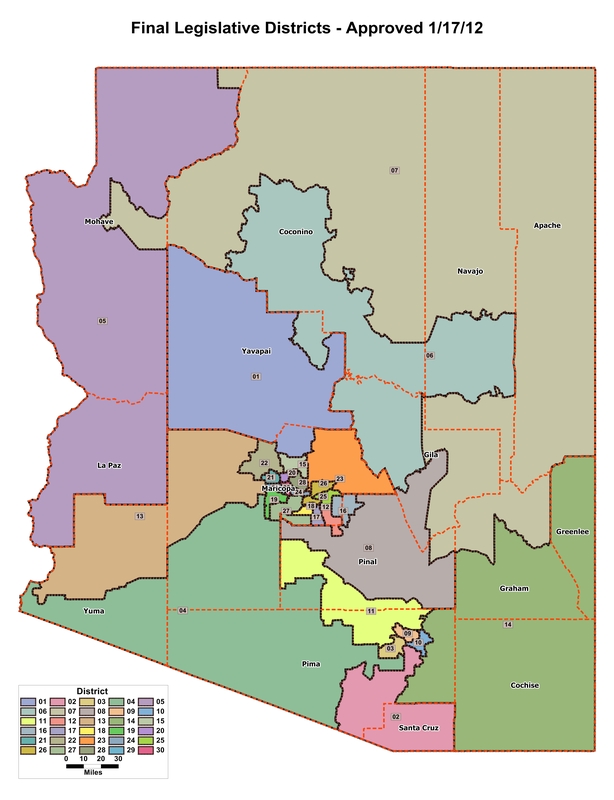 WASHINGTON – Just one day after it said the Arizona Independent Redistricting Commission was legal, the Supreme Court on Tuesday said it will hear a challenge to the commission’s Statehouse district plans. 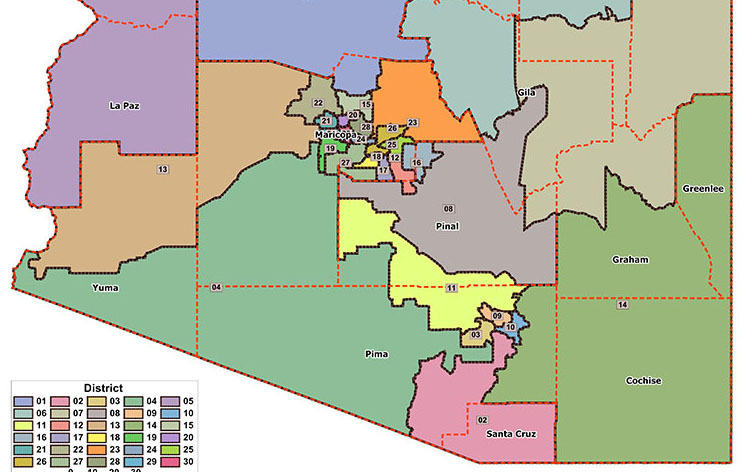 The court agreed to hear a case brought by more than a dozen Arizona voters who accused the commission in 2012 of improperly drawing legislative district boundaries to favor Democrats. Specifically, the suit claims the commission “underpopulated” liberal-leaning districts while packing voters into GOP-leaning districts. That diluted votes in the “overpopulated” Republican districts, violating the one-person, one-vote rule, the lawsuit said. A lower court disagreed, but the Supreme Court said Tuesday it will review that decision after it reconvenes this fall. An attorney representing the plaintiffs in the case, Harris v. Arizona Independent Redistricting Commission, declined to comment on the high court’s decision Tuesday. Officials at the redistricting commission did not immediately return a call seeking comment. “The U.S. Department of Justice approved the congressional and legislative districts without any required adjustments,” said Sam Wercinski, referring to the final district plans drawn up by the commission. That is “the first time that occurred since the Voting Rights Act and preclearance was established,” said Wercinski, executive director for the Arizona Advocacy Network. Arizona was one of the states that had been required under the Voting Rights Act to get “preclearance” – advance federal approval of any changes that would affect voting, to make sure they did not have a discriminatory effort. That was the defense raised by the commission against charges that it was overpopulating certain electoral districts in the 2012 redistricting. It said the differing population numbers were justifiable “minor population deviations,” according to a federal court’s ruling in 2014. Many of the claims in the suit related to state law and state constitutional issues, but the district court limited itself to federal claims. In the 2012 elections, Republicans won 36 of 60 possible Arizona House seats, and 17 of 30 possible Senate seats. The grant to hear the latest challenge to the redistricting commission came just one day after the Supreme Court ruled 5-4 in favor of the Arizona IRC in a suit brought by the Arizona Legislature. In that case, lawmakers argued that the Constitution reserved the right to draw congressional districts for the Legislature, making te commission unconstitutional. The court disagreed, pointing to the fact that the commission had been approved by voters in a 2000 initiative to curb gerrymandering of electoral districts. There is nothing in the Constitution that prevents voters “from serving as the legislative power” when it comes to redistricting, the court ruled. The Supreme Court begins its summer recess Wednesday, and will reconvene in October. No hearing date has been set for the latest commission challenge.